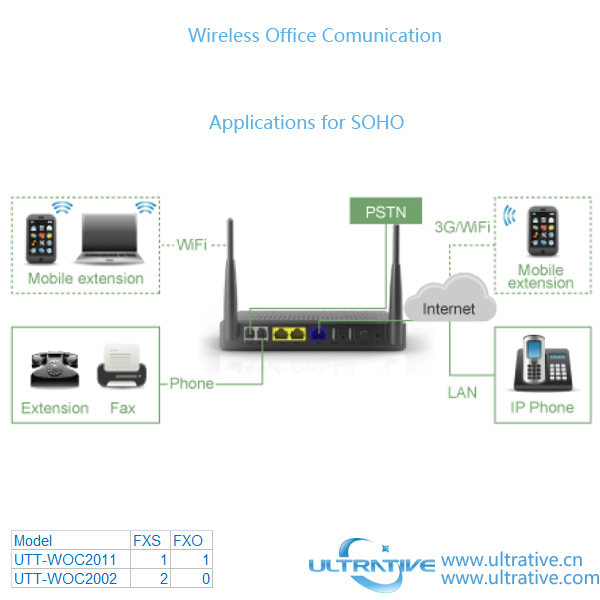 Wireless Office Communication System,which includes WOC2011/2002, combines the functions of the IP-based PBX telephone systems with the full featured 3G/WLAN broadband router to deliver an all-in-one communication system for small business and home. 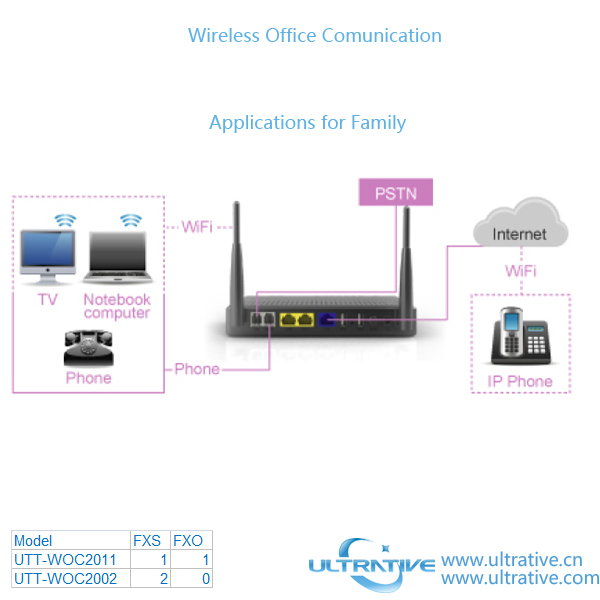 With the WOC2011/2002 your communication and working terminals such as legacy and video phones, computers, webcam, laptop, tablets, smart phones, USB storage are interconnected via in-house wireless-N or public 3G broadband network and legacy telephony network (PSTN) and Internet Telephony Service Provider (ITSP), no matter where you are. The WOC2011/2002 is so easy to configure that a fully working private network with data, voice and video communication capability can be set up in minutes. Built-in IP telephony server function allows family members and friends to call home or each other through Internet. * The feature is unsupported by the latest version. Please refer to the release notes for later resolution.